Walmart has a long history of fighting with employees and things just got more intense. Earlier this week, the retail giant told workers to not download the app created by the worker-led activist group OUR Walmart. According to OUR Walmart, the WorkIt app, available for Android smartphones, aims to help workers understand company policies and legal rights. It is created by software development company Quadrant 2 using IBM’s Watson artificial intelligence bot to answer concerns or questions from employees who are identified on the app by their username and store position. Walmart has instructed store managers to tell their employees that the app wasn’t made by the company and described it as a scheme to gather workers’ personal information, The Wall Street Journal reports. “We just wanted to give you a heads up that if someone tries to get you to download an OUR Walmart work-related app on your mobile device, you may unknowingly be giving away valuable personal information like your location and personal contact information that the union can use however it wants”, Walmart wrote to store managers, according to Bloomberg. 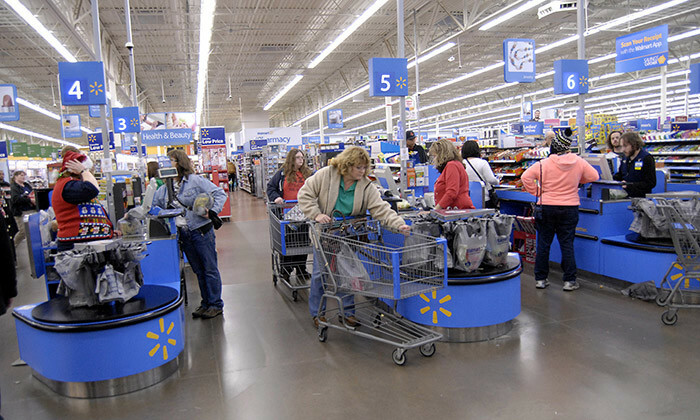 OUR Walmart co-director Andrea Dehlendorf told Bloomberg data will be shared with researchers and used to inform Walmart about their shortcomings in managing employees. However, it is worth noting that it remains to be seen if the management of Walmart will ever get into a meaningful conversation with OUR Walmart, which the company does not consider to be a union. Walmart does not offer collective bargaining rights to the group despite the fact that it has thousands of Walmart workers as its paying members. Dehlendorf thinks the app is also able to help Walmart employees who have limited time to access information on the company’s extensive human resources policy guide in the company’s intranet known as Wire. It also helps answer the queries on labour issues posted on OUR Walmart’s Facebook page which have become too much for the group to handle. “Being unable to access policy online when you are at work makes it difficult to know when you are breaking policy — or understand how managers are using policies against you”, said Mississippi Walmart worker Joanna Chambers in a Facebook post. OUR Walmart said it expects about 14,000 employees, or around 1% of Walmart workers, to download the app by the end of 2017. Dig deeper into candidates’ mind to avoid the costly mistake of hiring the wrong person. ..